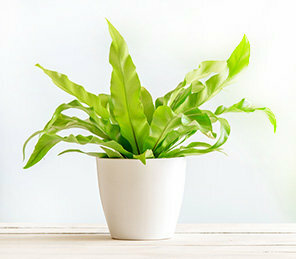 Plant some happiness and make your plants grow in love with our air purifying plants. Adaptable for both homes and offices, these evergreen beauties can accelerate and the air flow and purify it evenly. Plants are a part of our everyday environment. They help sustain a fresh air flow, reduce humidity, increase ventilation and filter the harmful toxins. There's no doubt that our parks, playgrounds, and streets are full of them. And with these becoming important with the advent of pollution and increasing carbon content in the air, how about you raise a toast to the upcoming occasion with evergreen air freshener plants. That's right, perfect for every occasion and every event, air plants can uplift spirits and delight the senses naturally. As a thoughtful gift, these can even spread the feelings of love and care in an evergreen manner. Of course, you can visit a nearby nursery and pick one of these for your dearest ones but how about the trouble that comes with the shipping of it all the way to your loved one residing in a city far, far away? Well, think no more as FlowerAura, the leading online florist is brimming with a lively range of air purifier plants online for home and office that can be easily sent to over 200 cities of India. Thus, the exclusive smart options and online delivery can help you garner appreciation in no time. Known to be the best online seller of Flowering Plants in India and indoor plants for air purification, FlowerAura serves to send these for any and every occasion. So, if it is a birthday, an anniversary, or a wedding, indoor plants can prove to be a perfect choice. Easy to care and maintain, each variety of snake plants, spider plant, peace lily, succulents, can help eliminate the toxins of the air and bless the environment with refreshing air. These are also a way to make your dearest one feel better during illness and that's why gifting someone with the best air purifying plants for bedroom from FlowerAura can be the ultimate decision you make. In fact, these can be sent as a gesture of appreciating someone close or as an apology for a recent mistake committed. A thoughtful gift for every emotion, indoor plants can give words to every emotion felt and let your loved one know how much you care about them. Plants nowadays have become fancy decor to adorn your rooms and office space with. Along with their enticing colors and stunning variety, each of these livens up a corner in an unimaginable way. The best part comes with their inherent properties that help cleanse the toxins, keeps the insects away, reduces the humidity, and purifies the air inside a room. Thus, it is no doubt that there are certain varieties of best indoor plants for air purification and each one of them is available on the online store of FlowerAura. These are in fact are the gift of care and love. Commonly called as the gift of green, every air purifying plants can be sent anywhere in India even to the remotest sections of every city. No matter which plant you pick, FlowerAura avails every customer with a diverse variety of pots and whilst you pick one, it makes the gifting experience easier via its online delivery options. If you are wishing to surprise your loved ones in a matter of few hours, our same-day delivery can help you send fresh air purifiers in a matter of few hours. Getting emotions delivered via a swift delivery option, our online plants are for the special moments that can't be put into words.